Tolga beige-green plus-sized Dirndl dress. This enchanting beige Dirndl features a heart-shaped neckline with ribbon lacing on the front for the perfect fit that runs through heart-shaped metal eyelets. 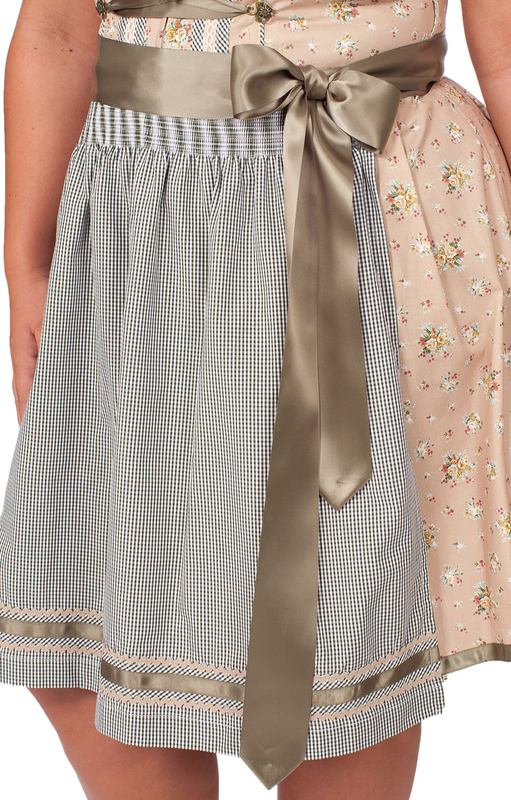 This ribbon is matched by the ribbon that ties the traditional Bavarian apron, which boasts a subtle chequered pattern for the classic Oktoberfest look that is sure to impress. schneller Versand, sitzt super, toll verarbeitet. Mit 80D plus size bei Marjo nötig.